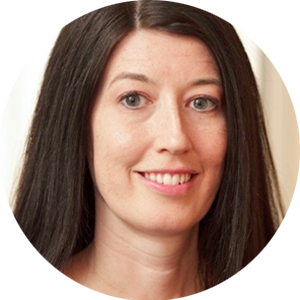 Erika Hellwig is an expert in the treatment of anxiety disorders and trauma. She draws experience from several treatment modalities including Brainspotting and Psychodynamic therapy to provide clients with an effective mind and body treatment for complex issues. Erika Hellwig began her career in the mental health field in 1999. She has been a practicing psychotherapist since 2003 when she earned her degree in Mental Health Counseling from the University of Massachusetts. She has worked at Harvard University, Westwood Lodge Hospital, Brighton Allston Mental Health Clinic, Justice Resource Institute and Wild Acre Inns Residential Treatment. Her vast experience in the field, treating a wide variety of issues has allowed her to develop a comprehensive approach that works for most of her clients. Erika currently provides therapy in private practice in the Financial District of Manhattan. Psychologists: Commonwealth Educational Seminars (CES) is approved by the American Psychological Association (APA) to offer continuing education credit programs. CES maintains responsibility for this program and its content. Psychologists receive 1.0 hour of continuing education credit upon completing this program. Social Workers: CES, provider #1117, is approved as a Provider for Social Work Continuing Education by the Association of Social Work Boards (ASWB) www.aswb.org, through the Approved Continuing Education (ACE) program. CES maintains responsibility for the program. ASWB Approval Period: 10/5/15 through 10/5/18. Social Workers should contact their regulatory board to determine course approval. Social Workers participating in this course will receive 1.0 clinical continuing education clock hour. Licensed Clinical Professional Counselors/Licensed Mental Health Counselors: Commonwealth Educational Seminars (CES) is entitled to grant continuing education credit for LCPCs/LMHCs in the following states: AZ, AR, CA, CO, CT, DE, FL, GA, HI, ID, IL, IN, IA, KS, KY, ME, MA, MO, NE, NH, NJ, NM, NC, OR, PA, RI, SC, SD, TN, UT, VT, VA, WA, WI, WY. CES maintains responsibility for this program. LCPCs/LMHCs completing the program will receive 1.0 continuing education hour of credit. Marriage and Family Therapists: Continuing education credit for Marriage & Family Therapists is awarded in the following states: AL, AR, AZ, CA, CO, CT, DC, DE, FL, GA, HI, ID, IN, IA, KS, ME, MD, MO, MT, NE, NH, NJ, NM, NC, OR, PA, RI, SC, SD, TN, UT, VT, VA, WA, WI, WY. CES maintains responsibility for this program. Marriage and Family therapists completing this program will receive 1.0 CE hour of credit. Nurses: As an American Psychological Association approved provider CES programs are accepted by the American Nurses Credentialing Center (ANCC). Every state Board of Nursing accepts ANCC approved programs except California and Iowa, however CES is also an approved Continuing Education provider by the California Board of Registered Nursing, (Provider Number CEP15567) which is also accepted by the Iowa Board of Nursing. Nurses completing this program receive 1.0 CE hour of credit. The CEU will help clinicians to identify and define trauma in their clients. Clinicians will be able to understand the need for trauma training in clinical practice. Clinicians will gain an understanding of current trauma therapies and strategies for healing.